Home to some of the most beautiful beaches, cliffs and sunsets in all of Southern California, La Jolla is known the world over for its beauty, boutiques, restaurants and magnificent ocean view estates. With some of the nation’s most expensive homes, La Jolla is a seaside enclave that attracts people from all over. Comprised of beach front property, mountain top vistas and cliff views, La Jolla is a panoramic masterpiece and a photographers dream. There is a reason that so many wonderful pictures are taken in this picturesque community. La Jolla’s downtown corridor, La Jolla Village, is an accumulation of fabulous boutiques, restaurants and various corporate entities. This community is home to some of the County’s best schools and is a great place to raise a family. With the various activities and close-knit community, La Jolla is wonderful for the young and old alike. 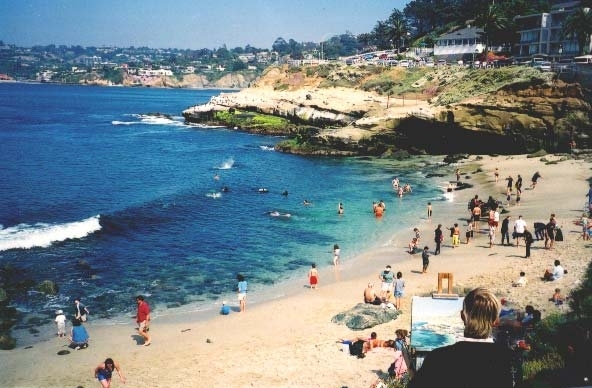 Come by and see this wonderful jewel by the sea and see why everyone loves La Jolla.